These documents were intended for discussion and feedback from meeting participants (in-person and on-line) and are not and were not intended to be final signing documents. 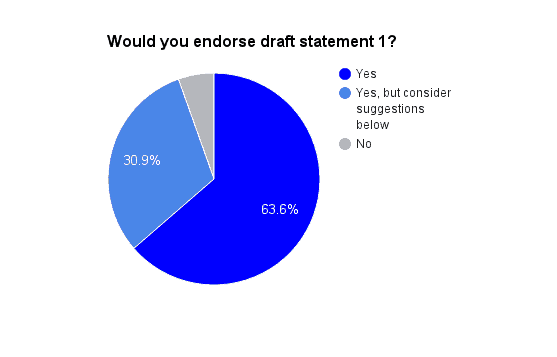 Each attendee voted privately through a web interface after listening to the morning discussions on these issues. 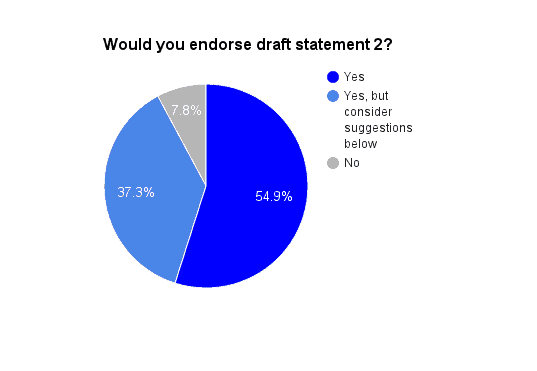 We received a number of specific editorial suggestions on these documents, which are not reflected in the documents shown below (they are the original versions shown for voting). We will likely incorporate some of the suggested edits into a future version, which could be available for broad signing. 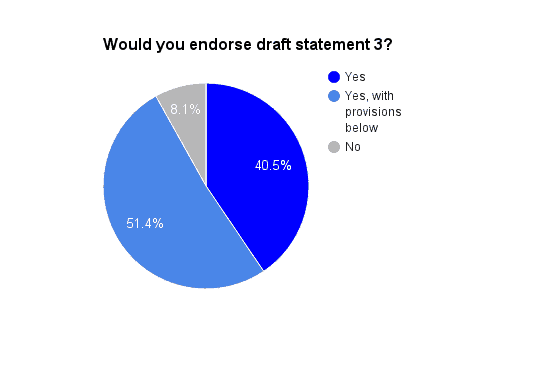 The results of independent voting on these draft documents provides consensus support for an important role for preprints in scientific communication in biology.